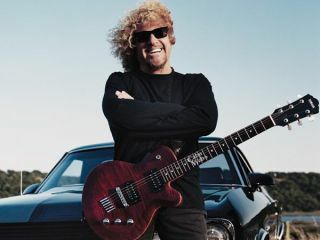 Sammy Hagar on Van Halen: "They keep making mistakes"
Ex-Van Halen frontman Sammy Hagar thinks his old band "just can't do the right thing by the fans". Hagar was referring to Van Halen's decision to sack bassist Michael Anthony in favour of Eddie Van Halen's 17-year-old son Wolfgang. During the interview with US radio show The Tour Bus, Hagar admitted that the band's reunion with original frontman David Lee Roth was "the greatest thing they could have done". Unfortunately, his thoughts on other decisions made by the band did not concur: "They just keep going, making more and more mistakes". "Why didn't they just keep Mike one more time? They just can't do the right thing by the fans. I don't know why that band… there's just something quirky to where they… it's almost like they wanna just push 'em [the fans] as far as they can and see if they'll still come back". Let's not forget that the Sammy Hagar-led supergroup Chickenfoot includes Michael Anthony on bass. Rehearsals would have been a bit thin on the ground if Mike had gone on tour with Van Halen, don't you think?